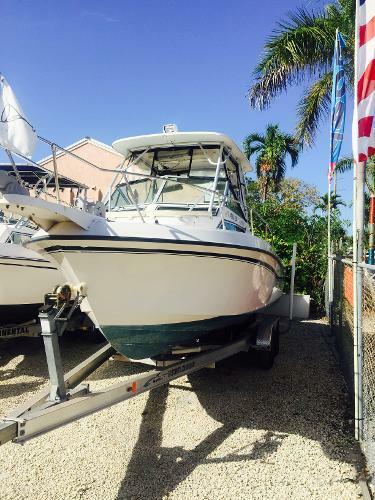 2004 Grady-White 232 Gulfstream WA This 2004 Grady White Gulfstream 232 is in Fantastic Condition! 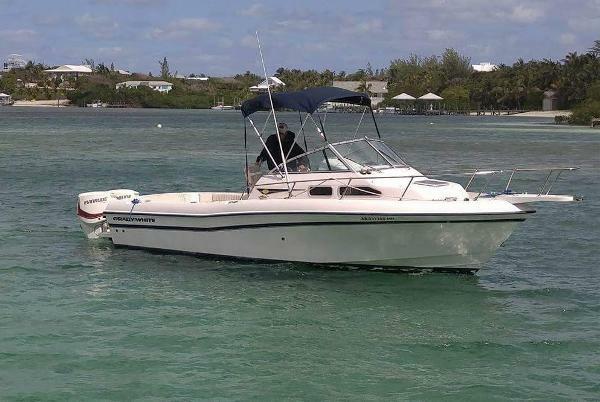 Powered with a Yamaha 225hp Four Stroke. 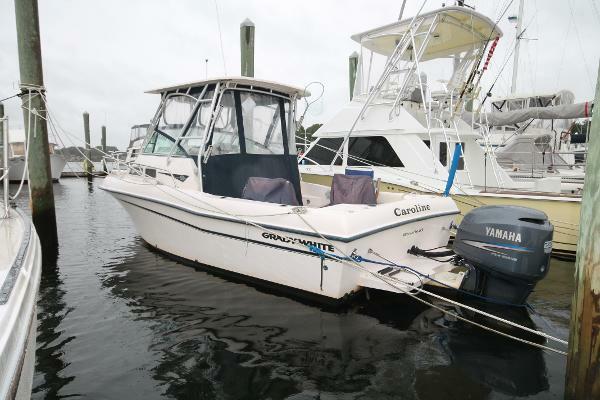 This model is Grady's Ideal Mid-Sized Walkaround. 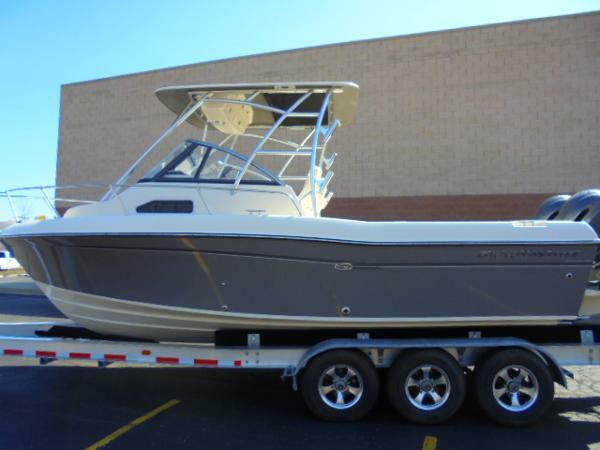 This Versatile Boat Offers the Capability of Overnight Accomodations as Well as a Day of Fishing Offshore. 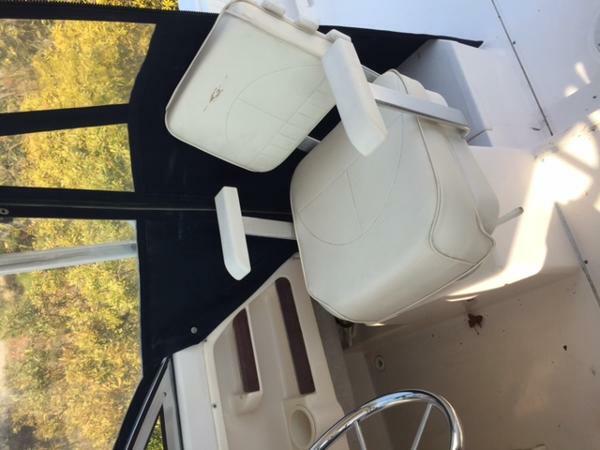 The Hardtop with Full Enclosure Keeps You Warm and Dry When the Weather Isn't Cooperating, and the Outboard Bracket Provides a Full Sized Cockpit. 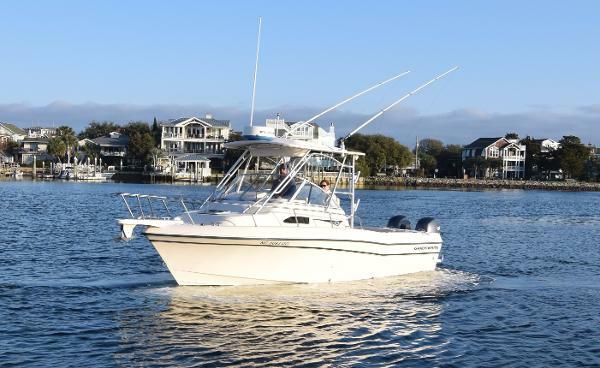 Options Include A Hardtop With Enclosures, Bolsters, Porta Potti, Full Swim Platform, Pulpit And Anchor Windlass. 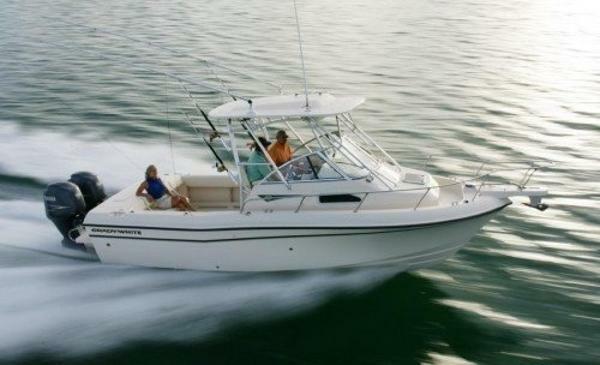 Electronics Include A Raymarine L770c Chartplotter Combo Unit, Garmin 741S Color Touch Screen GPS / Plotter And A Standard Horizon VHF Radio. 1997 Grady-White 232 Gulfstream WA The Gulfstream remains one of the most popular wide-bodied walkarounds with a cabin. 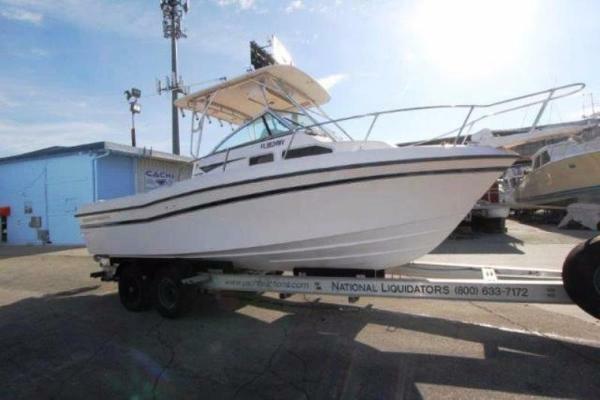 Features such as an enlarge cabin footprint with large overhead hatch just begin to make this model shine.